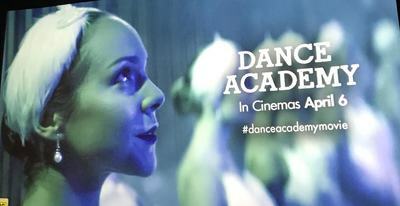 Dance Academy the movie is out in cinemas next week! If your kids loved the two time Emmy nominated TV series; in fact, even if they haven’t seen it, you could win some serious brownie points if you get some tickets. For the budding dancers, the teeny boppers and anyone who likes a bit of teen drama, this is the movie for you. I took my 8-year-old, who wasn’t actually allowed to watch the tv series when I saw how much kissing was going on (evil mum). So when I totally went against that and headed for the full movie Poppy was thrilled beyond belief. The story circles around the heroine Tara Webster (Xenia Goodwin), who tries desperately to claw back a career in dancing after breaking her back in her last year of dance school. Dance Academy the movie follows her attempt to hit the big time after 18 months out of a pair of Ballet shoes. Sometimes movies that have been born from a TV series seem to be a load of single episodes stitched together. Not this! This is a movie, a proper movie, and it’s really good! What I liked most about Dance Academy (apart from the rippling muscles) was that it ends with most of the characters happily pursing passions other than dancing, and goes to show how your dreams can change, and still make you blissfully happy! A great message for all youngsters these days, in such a competitive world. As a parent, I would recommend this movie for over 8’s, at least. Poppy thought it was “fantabulous” and she was obviously gushing over it. (probably because it is a very teen movie and I am a prude) As a 30 something woman, I was dead jealous of the wonderful, beautiful, brilliant dancers in their leotards, it made me wish I could dance a better than my nan, and that I was 20 again! The sound track is awesome, the New York street scenes are very cool, and seeing snippets of Sydney was exciting. This is one of very few Australian movies that I have seen, Strictly Ballroom was the top pick for me, but I have to admit that Dance Academy may have pipped it to the post! 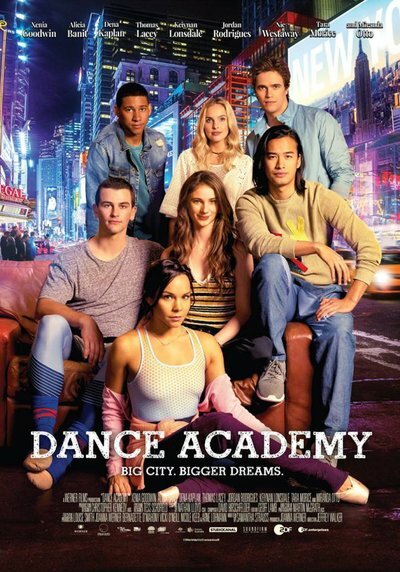 Dance Academy has a bit of everything, laughter, tears, lots of dancing, kissing, cute boys, glam girls; a tween girls dream I would say, and a great excuse for me to watch a movie that Mr W would never sit through! We LOVED it!